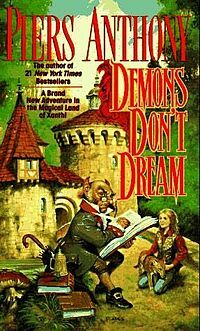 I need help remembering a paperback style book that had a fantasy adventure computer game being played by a young boy and then followed up I believe by his older sister whom I presume had to rescue him. The way to find yourself immersed in the game was to calibrate your eyes to the screen. I believe some of the in game characters were of different races as well. There was a human female character who was extremely attractive who gave the one rule that you could not try and see any of the characters or her naked. The boy attempted to peer at her and was either sucked in but thrown into another part of the world or was kicked out. I am not quite sure. Also what I remember is that it had a lot to do with exploration of the surroundings, like a magical hike and that it was more emotion based with the burgeoning development of the young characters feelings/attractions/relationships. Anyone have any clue? The color was really multi-colored and from what I recall, beautiful to look at. Teenager sucked into a video game (using the "calibrate your eyes" technique) where trying to subvert censorship has penalising consequences, and he picks an irrationally buxom NPC to accompany him. The novel is part of the Xanth series, and was released alongside an actual computer game set in that world. Not the answer you're looking for? Browse other questions tagged story-identification novel computers virtual-worlds or ask your own question. YA/childrens book I read in the mid-late 90s, about videogames & crocodiles?